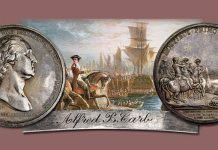 As you read these words, I am in Baltimore or getting ready to go, all set to participate in the Whitman Coin & Collectibles Baltimore Expo – always one of the great shows of the year. 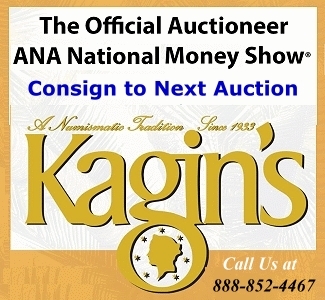 Stack’s Bowers Galleries will be having multiple dynamic auction sessions. 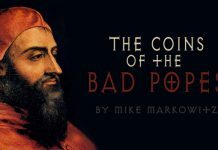 Colonial and early American coins come to the fore, as the Baltimore Expo will be hosting the annual meeting of the Colonial Coin Collectors Club, always a great event. 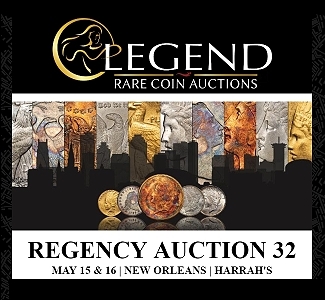 As a complement to this club gathering, we will be presenting one of the finest offerings of colonial and early American coins ever – anchored by the Archangel Collection — with pieces ranging from affordable state coppers of the 1780s to major rarities such as the 1787 Clinton copper. Beyond that, our currency offerings are spectacular. 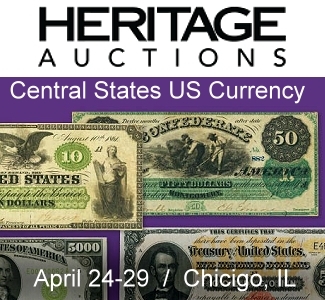 The Joel R. Anderson Collection Part III features incredible rarities, many of which are the finest known, balanced by a selection of affordable notes – all part of the finest collection of large-sized paper money design types ever formed. 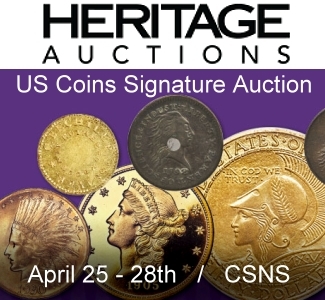 The Caine Collection of federal proofs is amazing and promises a once in a lifetime opportunity to acquire many of the pieces offered. 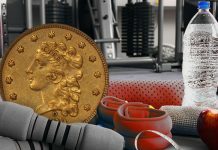 Other paper money is featured, as is a marvelous selection of federal coins from half cents to double eagles, plus commemoratives, patterns, tokens and medals. Whatever you collect, there is certain to be something for you! If you plan to participate in person at the Baltimore Expo, your plans are already set. 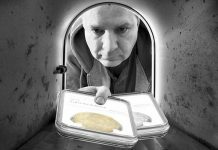 Otherwise, you are warmly invited to participate in real time on the internet – just like being here – well, not quite, because you’ll miss the camaraderie and excitement. But on the other hand you’ll be able to focus on each item as it is offered from the comfort of your office or home. 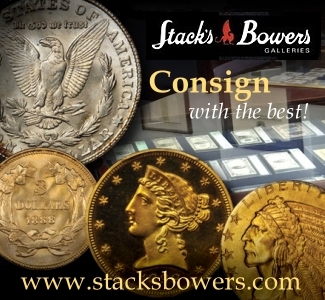 Thank you for being a Stack’s Bowers friend and client. “Rolling into first place in the 100 Greatest survey is the $1,000 “Grand Watermelon Note,” more formally known as the 1890 Coin Note or Treasury Note. 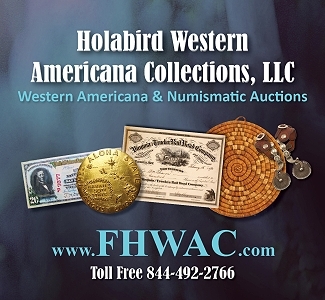 For a long time this has been the Holy Grail for collectors of federal currency. Before the survey results were compared, those behind the scenes working on the book speculated that the Grand Watermelon Note would make first place, and we were right! Quite a few guesses as to other positions were off the mark. ” ‘There will be no mourning for the old backs. At the Treasury they have never been regarded with very tumultuous approval. Officials at that institution commonly refer to the denominations representing $1,000, $500 and $100 as “water melons,” because of the striking resemblance which the huge 0’s bear to the juicy vegetable in question. This example is the first variety of the type, with the engraved signatures of Treasury officials Rosecrans and Huston along with the distinctive large brown Treasury Seal at right. Its pedigree is traced to F.C.C. Boyd, James Wade, and Amon Carter Jr. among others. This is the finest of the seven Grand Watermelon notes known. Any signs of actual circulation are faint, with just light handling observed primarily in the corners and near the edges. The margins are plentiful, the paper is creamy white and the inks are sharply printed. The all-important back design is vividly detailed in bold green inks. Of the seven Grand Watermelon notes known, all but three are permanently held in government collections. 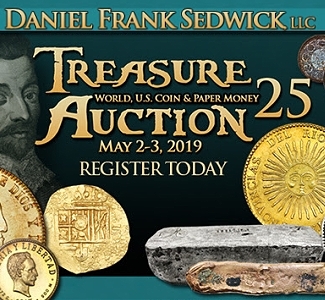 The note offered here is one of two Fr.379a examples in private hands; the other, graded PCGS Extremely Fine 45 Apparent, sold for $1,525,500 in an April 2013 auction. Only one of the two known Fr.379b notes resides in private hands. It sold in a January 2014 auction for $3,290,000. No elite level United States currency collection is complete without an example of this celebrated type. 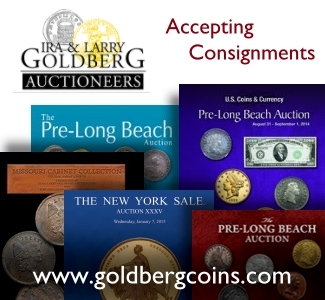 No more than three collectors in the world can lay claim to one at any given time. This is a historic opportunity to own the Joel R. Anderson example, one of the most important notes in the greatest United States currency collection ever assembled. Provenance: From Limpert, Friedberg, Krause-Lemke & Koike Illus. ; F.C.C. 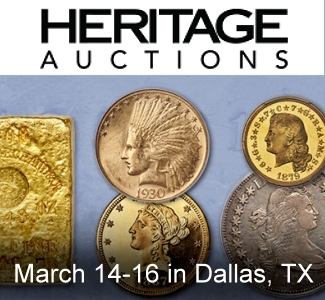 Boyd; James M. Wade; Robert Friedberg; Amon Carter Jr.; Bowers and Ruddy Fixed Price List of November 1979; Stack’s sale of March 1989, lot 693; Lyn Knight’s sale of December 1998, lot 222; Lyn Knight’s sale of October 2005, lot 1. PCGS Population: 2, none finer. This is a simply outstanding survivor of the final Proof Liberty Seated silver dollar. A brilliant circle in the center of the obverse is framed in rich steel-olive and mauve-gray patina. Similar toning is evident on the reverse, with the colors completely enveloping that side. Both sides are uniformly full in strike with modest cameo contrast to the finish. 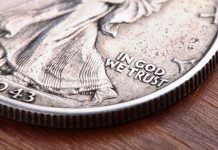 As with the two-cent piece, silver three-cent piece and half dime, 1873 saw the final production of silver dollars in the United States Mint. Unlike the smaller denominations, however, the halt in dollar coinage proved temporary with production resuming in even greater numbers in 1878 with passage of the Bland-Allison Act. The demise of the silver dollar in 1873 is linked to the authorization of the trade dollar. The Liberty Seated dollar had not seen domestic circulation since the 1840s, as circulation strikes made during the 1850s, 1860s and early 1870s were used largely in export trade. With the advent of the trade dollar the silver dollar suddenly had no useful purpose, and the denomination was discontinued shortly after passage of the Act of February 12, 1873. In addition to 293,000 circulation strikes, the Philadelphia Mint struck 600 Proof silver dollars in 1873, most of which were distributed as part of silver Proof sets. 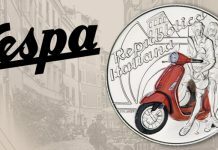 The discontinuance of this denomination may have resulted in the destruction through melting of some unsold examples. 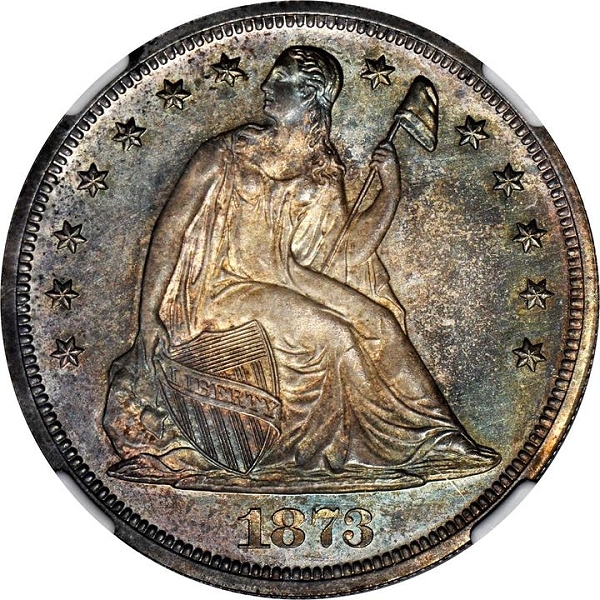 The 1873 is one of the scarcer Proof Liberty Seated dollars of the Motto design type. Gems such as that offered here are rare from a condition standpoint, and this example represents an important offering for advanced collectors. NGC Census: just 1; 0 finer in any category. 61 grains. Reeded edge. Medal turn. A historic relic from the earliest days of the United States Mint, this exceptional 1792 disme is as beautiful today as it was then. Its excellence in execution belies the inexperience of those who produced it, with finely engraved dies capably struck onto a well-made planchet. Ideally centered on both sides, a broad frame of denticles of even length surround the frosty chocolate brown surfaces on both obverse and reverse. The surfaces are both glossy and lustrous, rich in tone and lightest in the protected areas where mint color was last to fade. The portrait of Liberty was brought into full relief and detail by a single bold strike, standing out in good contrast from the smooth fields that surround it. The reverse is similarly choice, with a nicely rendered eagle showing just the usual flat area at absolute center but maintaining better than usual details in the head, wings, and talons. The light shades around the peripheral legends are gold and olive, barely faded from mint color. The fields on both sides are essentially immaculate, free of any troubling marks or post-striking contact points. A trivial and shallow flaw below the eagle is noted only as an identifier, as it is not of sufficient boldness to manifest in a photograph. A tiny speck of scale clings at the obverse rim above T in PARENT, harmless and stable. An infinitesimal rim nick above I of LIBERTY is both hidden by the holder and inoffensive without it. The aesthetic appeal is unimprovable at this grade level and ranks this as easily the prettiest of the non-Mint State examples of this issue. Indeed, it is easy to class this as superior to several a grade higher. Clearly any 1792 issue is of special importance and interest, but the disme is truly foundational to our monetary system. It was the lynchpin of Jefferson’s decimal plan, the small denomination that held the decimal place between the lowly cent and the mighty dollar. 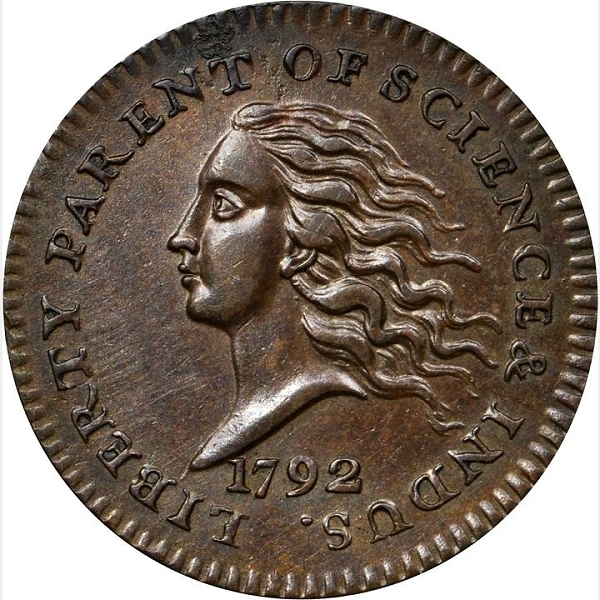 Jefferson conceived it as equal in value to the Spanish half pistareen, which he described as “a coin perfectly familiar to us all.” Though the disme was a key part of the 1792 experimental program, struck in both silver and copper, with edges that were both plain and reeded, the circulation dime program was bogged down early, as few depositors wanted their silver back in the small denomination, preferring dollars or halves instead. There are only three silver 1792 dismes known, making it one of the most august American rarities. In 1792: Birth of a Nation’s Coinage, authors Smith, Orosz, and Augsburger recorded 19 discrete specimens of Judd-10 in copper. One is silver-plated, one is graded Poor-1 (PCGS), and three are impounded (Smithsonian, Byron Reed / Durham Museum, Independence National Historic Park). Most are well worn; just seven of those listed are graded AU-55 or higher. Three additional specimens of Judd-11, with plain edge, are known, one of which is badly disfigured. Off the market since 1976, this piece is now ranked as the third finest certified by PCGS. Provenance: From the Archangel Collection. 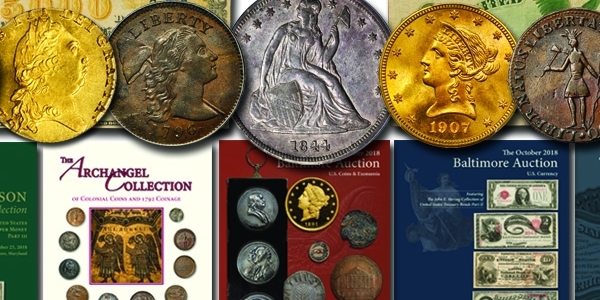 Earlier, from Stack’s 1976 American Numismatic Association sale, August 1976, lot 131; New England Rare Coin Auctions’ sale of November 1975, lot 383. PCGS Population: 1; 2 finer (SP-64 BN finest).